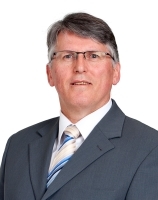 Ian specialises in personal injuries matters, acting for many major insurers and self-insured employers in relation to workers compensation and industrial accidents. He provides advice on workers compensation claims and common law actions, and represents clients in conciliations, hearings, trials and appeals in relevant Tribunals and Courts. Ian also advises and acts for marine insurers on maritime claims, and is a correspondent for most of the International Group of P & I Clubs. Ian regularly represents clients in the Workers Rehabilitation & Compensation Tribunal, the Supreme Court of Tasmania and the Federal Court of Australia, in the capacity of both instructing practitioner and counsel. Ian is also a Notary Public in Tasmania.